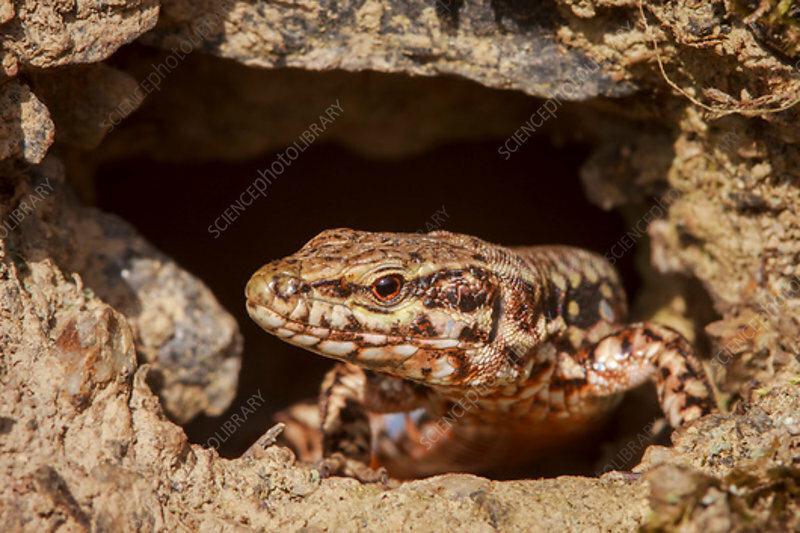 A male common wall lizard (Podarcis muralis) emerging from a hole in a bank. This lizard is found across mainland Europe often alongside other lacertid species. It reaches lengths of around 20 centimetres, and feeds primarily on insects. Photographed in the Vendee, France in August.